Equinix has opened its third data center in Singapore - and Datacenter Dynamics got the background on the largest Equinix data center in the Asia Pacific region, from Samuel Lee, the president of Equinix Asia Pacific. Lee has close to two decades of experience dealing in the data center and telecommunications industry in Asia, and we were curious about his take on some of the challenges and opportunities in the region. Over the course of an hour, the senior executive gave his candid views of the regions that Equinix is currently operating in, as well as the countries that he is keeping a close eye on. “Different countries have different challenges,” said Lee. The region is made up of dozens of countries with very different cultures and stage of economic development — a fact that may not be obvious to outsiders. “Asia Pacific as a region has lots of countries, with different business cycles, business practices and difficult cultures,” he noted as he methodically stepped through each of the key markets in the region. For example, one challenge in land-scarce Hong Kong would be the difficulty of finding good real estate for establishing a data center, said Lee. While the government had recognized the issue and introduced a slew of measures, including specifically earmarked land at the Tseung Kwan O industrial park for the purpose of setting up of new data centers, Lee noted that the amount of land is “very limited” in the latter. It is not known if regulatory concerns are what culminated in Google pulling out of Hong Kong, despite acquiring a 2.7-hectare plot of land at Tseung Kwan O in 2011: and Lee declined to speculate. The search giant in December last year announced that it has scrapped plans to establish a planned data center in Hong Kong, citing cost and the difficulty of acquiring “spacious land” there. When it comes to mainland China, Lee explained that the telecommunications industry there is a heavily regulated one, while foreign ownership of a Chinese firm is capped at 50 percent. As such, Equinix competes by selling only white space and power, and gets around the strict Internet regulation by being “a warehouse with lots of power” as far as the government is concerned. For connectivity, Equinix partners with various local network providers such as China Unicorn—among others, who establishes a point of presence in its data centers that customers can hook up with. “No one uses China as a regional hub,” explained Lee when we asked about the absence of the company’s vaunted Equinix Cloud Exchange service in China. “They have a presence in China because they have business in China and they want to support it.” Of course, with the number of Internet users in China already pegged at twice the entire population of North America as of last year, this is a huge market that few can afford to ignore—including Equinix, which has a data center in Shanghai. Lee sidestepped the question when we asked whether Equinix had considered building a data center in the Singapore Data Center Park, an ambitious government project to mirror Hong Kong’s Tseung Kwan O with at least half a dozen new data centers in the Western part of the island. As we reported late last year, Telin was finally awarded the first plot of land for the project that was initially scheduled to be ready in 2013. Instead, Lee pointed to how Equinix “looks at all the options” and that its new SG3 data center was built with ample high-speed data connectivity with SG1 and SG2. According to him, the former houses the bulk of its carrier customers in Singapore, while cloud providers “are mostly” in the latter. 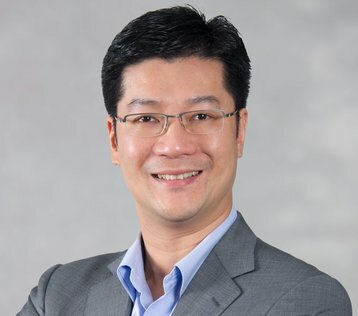 “For customers who want to reduce their latency, they can set up in SG3,” Lee said, referring to the high-speed cross connect capability that Equinix offers between its data centers. Moving to other countries in the region, Lee noted that there is “good momentum” going for Indonesia, though it is a small market where data centers are concerned. Lee drew attention to the recent change in the data privacy law that gave local data center demand a boost, and noted that the mobile penetration and population means that the market will likely evolve into something “bigger and more interesting” over time—though he cautioned that things are still in the early stages at the moment. Things are different now however, with demand for power jumping up very rapidly. From 4kW per rack in the past, the power demand in certain deployments can be as much as 10kW to 20kW per rack today. Aside from the inherent technical challenges of how to ramp up the power density on older data centers, there is also the issue of how to cool the data center from the inevitable heat that is generated, he noted. Moreover, the approach to the data center is also very different now, and the data center has morphed from “back office” significance to a mission-critical tool that can help organizations increase their speed to market. With this in mind, Lee says businesses are now concerned about latency, which makes having a robust IT infrastructure all the more important. According to Lee, the sky’s the limit when it comes to growth in the Asia Pacific region. In our conversation, some of the markets mentioned by Lee include India, Taiwan and South Korea. India and South Korea are countries “you cannot ignore” due to its size and one of the best Internet infrastructure in the world respectively, while Taiwan is “interesting recently” as one of the cable landing points for submarine cables laid by the likes of Google and Facebook. Lee has his sights on China too, noting that it is going to be one of the biggest markets in the world. “We definitely want to get more scale in Shanghai, we want to expand in other cities,” he said, while Beijing is “definitely on our radar screens”. According to him, the challenge of China has to do with the difficulty of serving the entire country due to its sheer size. “You need to be in different cities. We want to gain more scale in Shanghai; we want to cover more key cities in China,” he said. Outside of China, Lee also pointed to how the new use of the Internet and cloud computing means that even mature markets such as Tokyo, Australia, Singapore, Shanghai and Hong Kong can offer opportunities for growth. And with just 20% of the global data center capacity outsourced to an operator like Equinix, he sees a unique opportunity as enterprises shift to deploying public or hybrid cloud infrastructures in the years ahead. Ultimately, the biggest shift of all is probably not in the data center itself, but how IT has shifted from something that was secondary in importance, to being an edge that can offer companies critical opportunities for growth. “The [data center] business is really evolving from a cost center into a revenue opportunity,” Lee concluded.